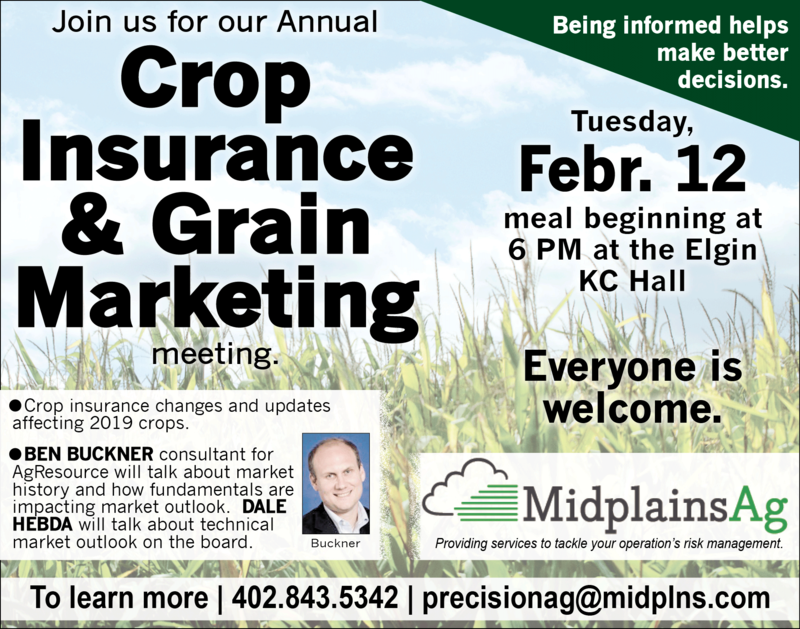 This year's Annual Meeting is sure to not disappoint! 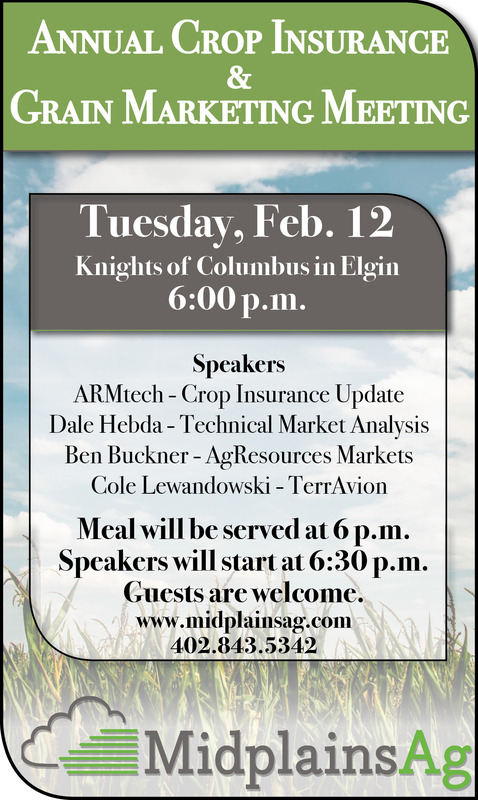 ARMtech will be sharing important crop insurance and farm bill updates, Ben Buckner, of AgResource, will share information regarding the grain market outlook for 2019, Dale Hebda will be providing valuable information regarding market technicals, and, last but not least, Cole Lewandowski (TerrAvion Aerial Imagery) will be presenting the latest information regarding the advances of multi-band aerial imagery (including case studies) and how this imagery can help make your farming operation more efficient and profitable. Throughout the previous year, we have discussed the value of precision ag and UAS, and it's benefit for farm producers, such as you. This year, we present you with even more efficient and effective means of acquiring the information you need to make the best input and operational decisions for your operation. JOIN US FOR GOOD FOOD, COMMUNITY AND VALUABLE INSIGHT INTO 2019. NO RSVP NECESSARY.